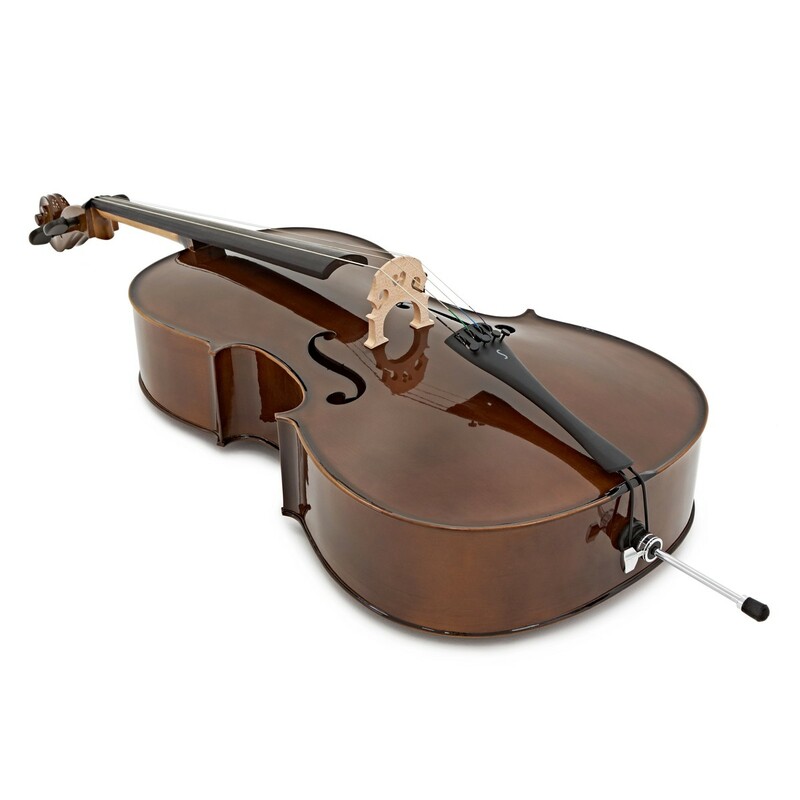 The Stentor Student 2 Cello Full Size is ideal for students who need a high-quality instrument at a reasonable price. The Stentor Student 2 is handmade from selected solid tonewoods including carved maple and spruce for superior sound quality. 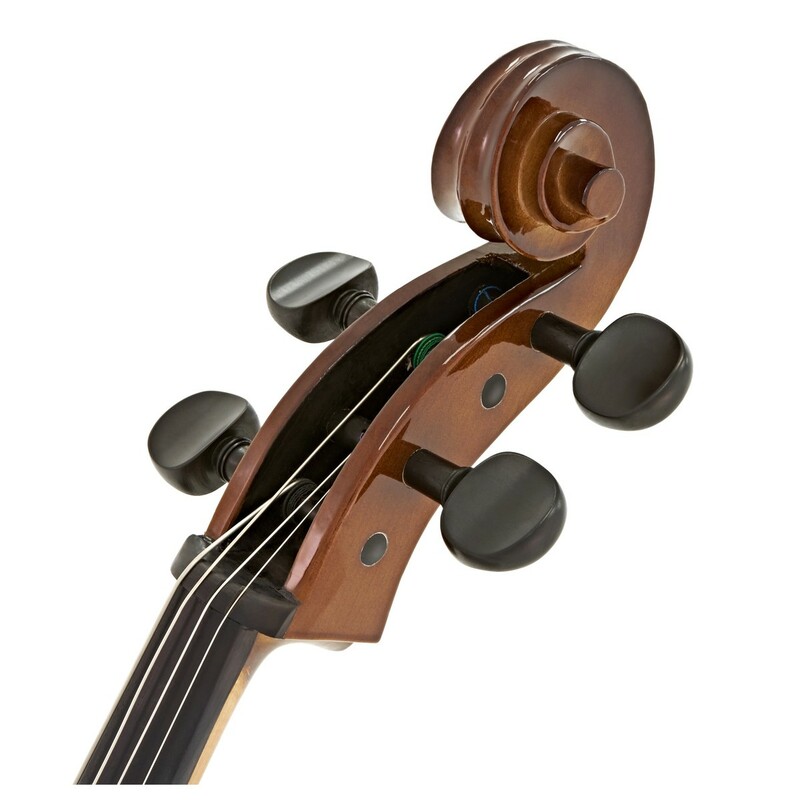 Similar to professional cellos, the Stentor Student 2 cello includes a solid ebony fingerboard and tuning pegs for enhanced comfort and a stylish look. The Stentor Student 2 cello includes a padded nylon cover and a full mounted bow so you can start practising straight away. 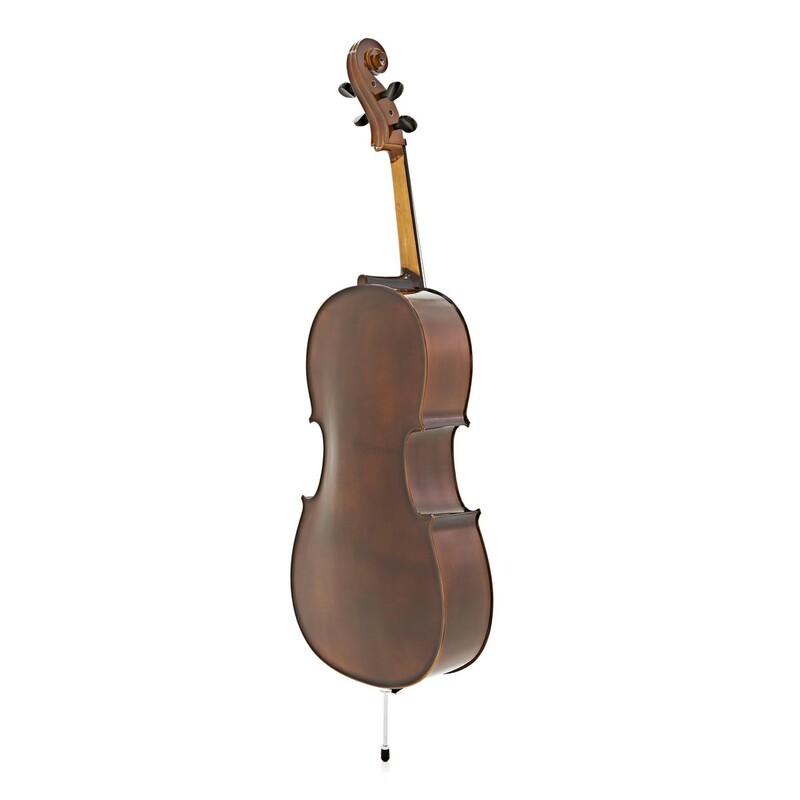 The Stentor Student 2 cello 4/4 is ideal for students needing their first full-sized cello. The top of the Student 2 is carved from selected spruce, while the back and sides of the cello are maple. This combination produces a focused sound with plenty of depth and tonal warmth. The solid maple neck features an ebony fingerboard, nut and pegs for enhanced comfort and a stylish look. 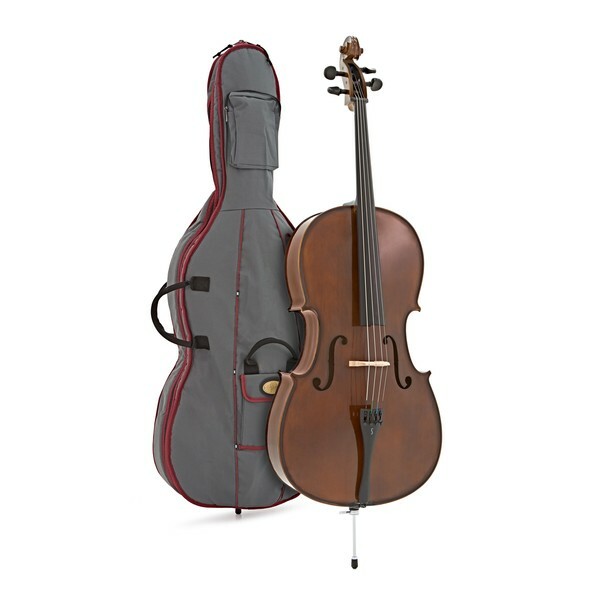 The Stentor Student 2 Cello includes everything you need to start playing straight away. The included padded case is perfect for protecting the cello when commuting between musical events. The back of the cello bag features backpack straps for easy transport across long distances. The side of the case features two large handles for easy manoeuvrability along with robust zips for enhanced security. The front of the bag features a small pocket ideal for small accessories such as spare strings, rosin and pencils, and a large pocket ideal for A4 music and manuscript. 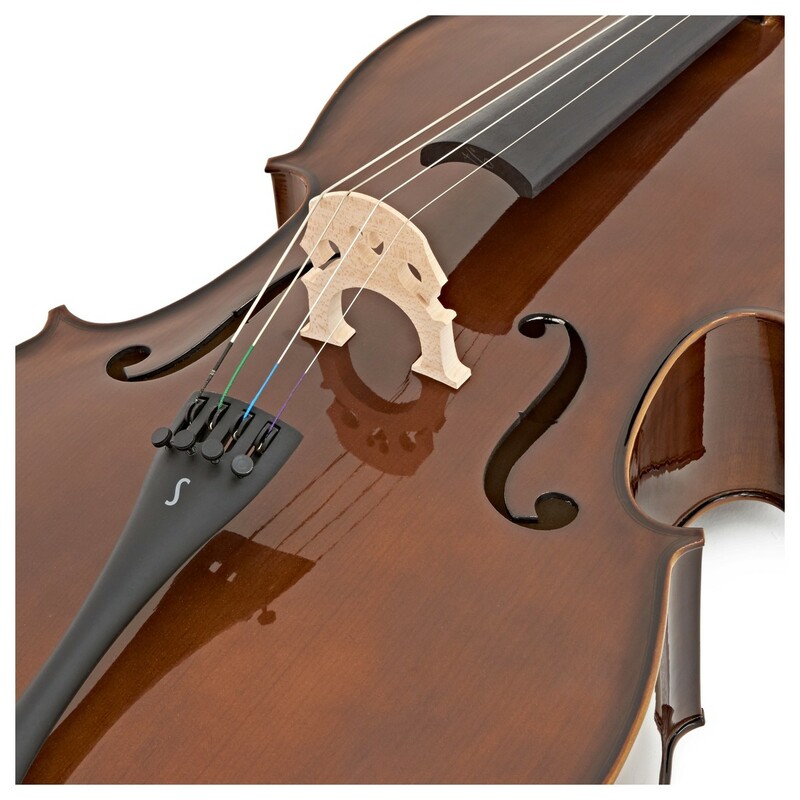 The included full mounted bow is made from quality wood with natural horsehair and features an ebony frog. Stentor have a great reputation among schools, local councils, and teachers. All Stentor instruments are handcrafted using the finest tonewoods and ebony fittings to create some of the most highly recommended student-level cellos. Stentor believe that all students should have access to musical instruments that are reasonably priced, easily playable and responsive in sound. They have worked over many years with teachers to achieve these goals.